Alkali for increasing the pH of your water. 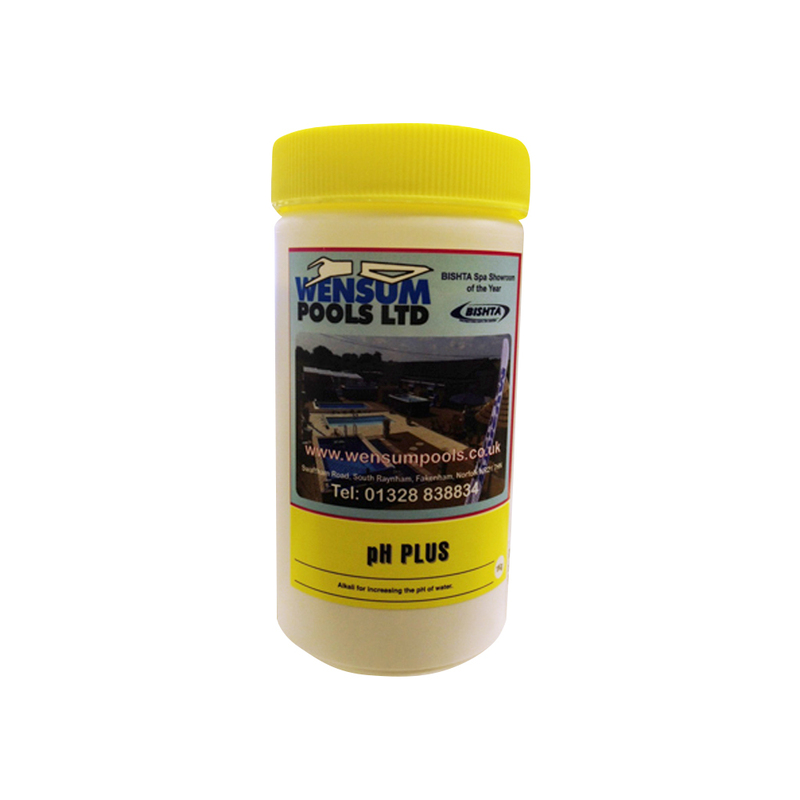 pH Plus from Wensum Pools is used for increasing the pH of your swimming pool or spa water. The product should be added to your pool or spa water if you test kit result indicates that the pH is low.